Now add sambar powder and saute well. Add 1/3 cup of water and stir well. Allow the chicken to cook until it is tender. Once chicken is cooked, add grated coconut and stir well for 2 minutes. 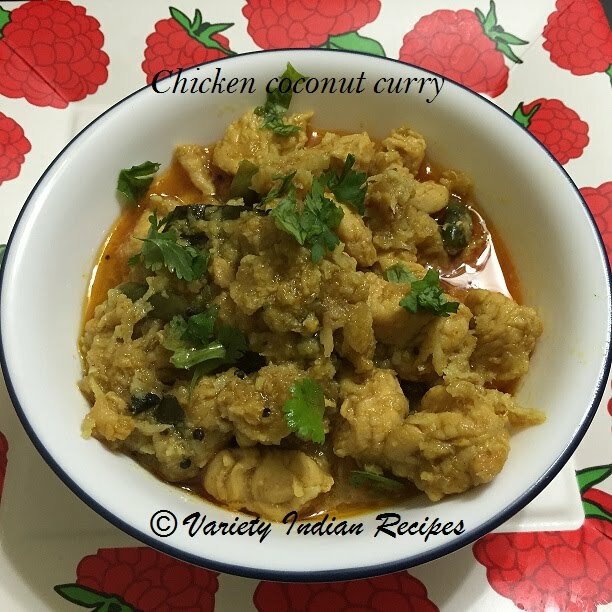 Simple chicken coconut curry is ready.